As the end of a calendar year draws closer, I begin to reminisce about what’s happened in the past almost 12 months and look through pictures, journal entries, and so on. 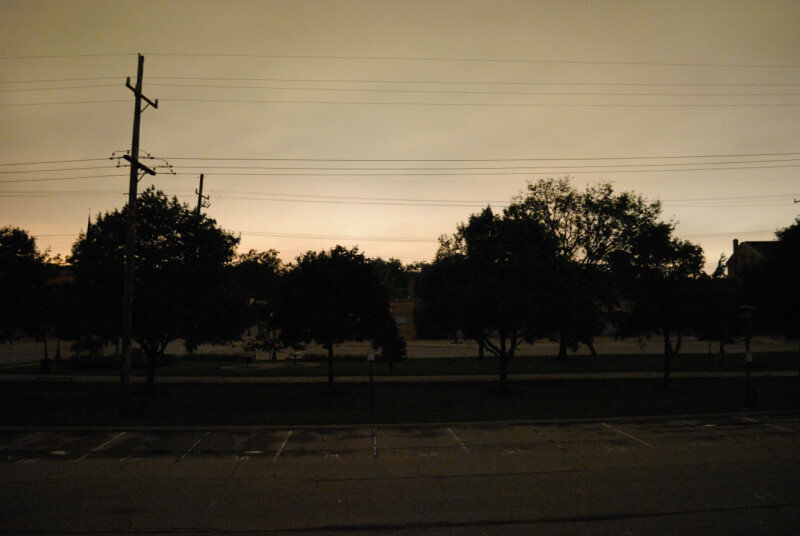 I ran across a couple photos I took from the apartment after a storm had come through and knocked out power to the apartment. 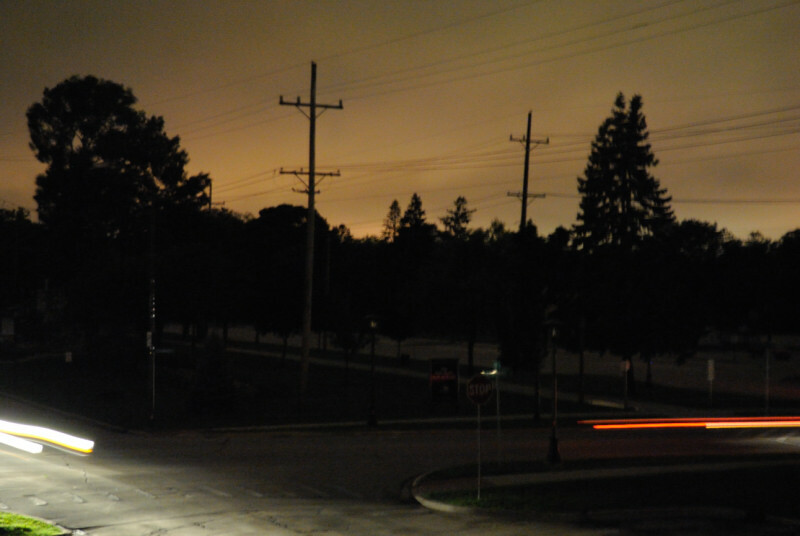 The view outside of the parking lot and prairie path was completely dark. Compared to the normally well lit area, it was actually a welcome, albeit slightly eerie, change of pace. This doesn’t totally capture the moment, but it brought me back to that time and the small moment of reflection it brought.